How can the love of God be reckless? Maybe because His love looks so crazy, generous and unlike the love we see from the world around us. This winter, high in the mountains of Angeles Crest, overlooking the City of Angels come experience the overwhelming, never-ending, reckless love of God! 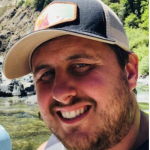 Rob Morace has been a Youth Pastor at North Coast Church for 11 years doing both Jr High and High School Ministry and is excited to use that experience here at Angeles Crest! He has a passion for seeing students come to know Jesus, but also loves to equip them for life down the mountain. 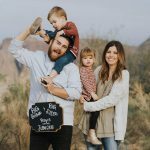 He has been married to his wife Jenny for 8 years and has a 4 year old son named Emmett and a 2 year old little girl named Charley. He loves all sports and loves going to the pool or water park with his family. TJ is one of the Junior High Pastors for North Coast Church. He has been married for 6 years, has 3 awesome little kids, and a dog named Tucker. TJ loves french fries, action movies, building things around his house and spending time with family and friends around a fire. Camp is one of his favorite times of the entire year- getting away from the normalness of life, being in community with friends, and experiencing Jesus in an incredible way. TJ believes camp can be one of the most important weeks of a student’s life. CENTERworship is a Contemporary Worship Music Band who originated from the CENTERchurch located in Granada Hills, CA. 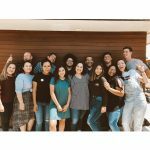 The group is lead by Johanna Ortega and made up of approximately 20 talented members whose hearts are on fire for God and serving the community. Through music, each member shares their gifts and talents and are vessels used to connect the church with the presence of God. Bible, pen, notebook, sleeping bag, pillow, toiletries, flashlight, towel and washcloth, warm clothes, winter jacket, spending money for camp store & picture, etc.